Shoe polish is what allows your favourite footwear to enjoy a long lifetime in top condition. It feeds the leather with the essential nutrients that it needs, like oils and fats, and minimises their loss over time. Furthermore, shoe polish maintains the flexibility of the upper and keeps your shoes shiny and smooth. 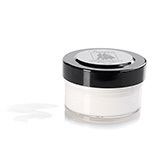 Gel-like formula feeds the leather with essential nutrients. Specially designed to care for cordovan leather. High-quality footwear deserves high-quality shoe care products to match. Only that way, can you be sure to protect and preserve your favourite shoes. Shoe polish is vital for the health of your leather upper. And most of our care products use a traditional formula that has kept shoes gleaming for more than 90 years. By protecting your shoe leather from dehydration, good shoe polish maintains the shine and smoothness, whilst adding a protective layer against the elements. We recommend you clean your footwear every two to three weeks with quality shoe polish. During the wet season though, it pays to clean your shoes more often und use shoe wax and oil for the leather sole as well. A shiny wax pomade is the best way to care for smooth leather uppers. They consist of natural substances, which are heated and melted together with a solvent. When cool, the shoe polish is formed and ready for use on leather shoes. 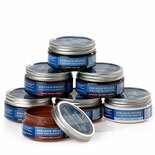 Contrary to other care products, our shoe polish comes in solid form. Before a final polishing, shoe cream builds up a protective wax layer on the surface of your leather upper. This wax layer offers a great protection against dirt and damage, absorbing shocks and contusions, without damaging the leather. Regular use of high-quality shoe polish also means your shoes keep their lustre for as long as possible. For the best results, leave your shoe polish over night on the leather upper. The leather will have enough time to absorb the cream and a way layer will set nicely on the upper. If you have less time for your shoe care, try and leave your polish on for a minimum of half an hour. The stronger the leather though, the easier the final shine will be. Full-grain leather – velour, nubuck or suede leather – needs special care. The pores of this kind of leather are wide open and therefore vulnerable to humidity. If you have the choice, it is best to wear such shoes on dry days only, in which case, brushing with a suede brush is enough to maintain their condition. If you wear full-grain leather shoes during inclement weather, too, you will need special care product to keep them in prime condition. 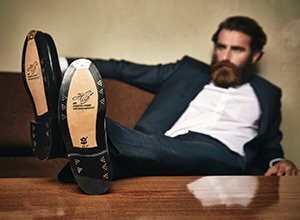 Either way, our shoe polish products make sure, that your shoes endure as long your style. Please note: Avoid applying layer upon layer of polish to your footwear, otherwise that will result in unsightly cracked polish. Instead of applying polish on top of existing polish, just remove any remaining cream with warm water and start again with a fresh layer of shoe polish. That will create a new shine and rejuvenate your footwear.